To celebrate the launch of Corgi Capers: Deceit on Dorset Drive, the corgis have decided to give away a free copy of their book. To enter, check out the contest at http://corgicapers.wordpress.com/2012/01/29/corgi-capers-free-story-giveaway/. Contest ends February 15th! Corgi Capers: Deceit on Dorset Drive is now available. You can buy directly from the publisher at www.dwbchildrensline.com, or you can order it at Amazon.com. What happens when Adam Hollinger and his obnoxious older sister, Courtney, convince their absent-minded mother to allow them to adopt a pair of corgis — after their father explicitly said, “No!” ? Author Val Muller answers this question as the mystery on Dorset Drive unfolds. There’s a serial thief robbing every house in the neighborhood, including the Hollingers’. As the plot deepens and the suspense builds, Adam and the rambunctious corgi pups are determined to crack the case. Even Courtney can’t resist getting involved. 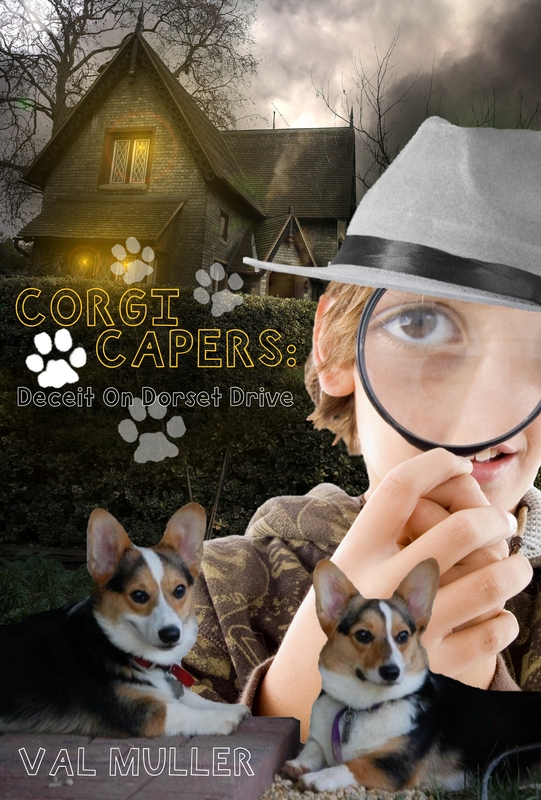 Corgi Capers: Deceit on Dorset Drive (223 pp., $8.99) is the perfect book for your ‘tween detective. From the brother/sister bickering and teasing, to the elderly couple that raise corgis, to Sparkles and Owl, the parents of four wiggly little corgi pups, to the pups who talk to one another and get adopted by their new people, this book will quickly become a favorite with your children. The story line is intriguing, the pups are adorable, and there’s plenty of humor to keep your children turning the pages until they reach the suspenseful climax.